Australia Day is here once again! It’s the perfect time to crank up the BBQ and spend time with family doing what really matters… celebrating awesome Aussie cuisine! We’re true blue when we say Australia is the best country in the world – we’ve got the beaches and the sunshine, but most importantly we’ve got the food. 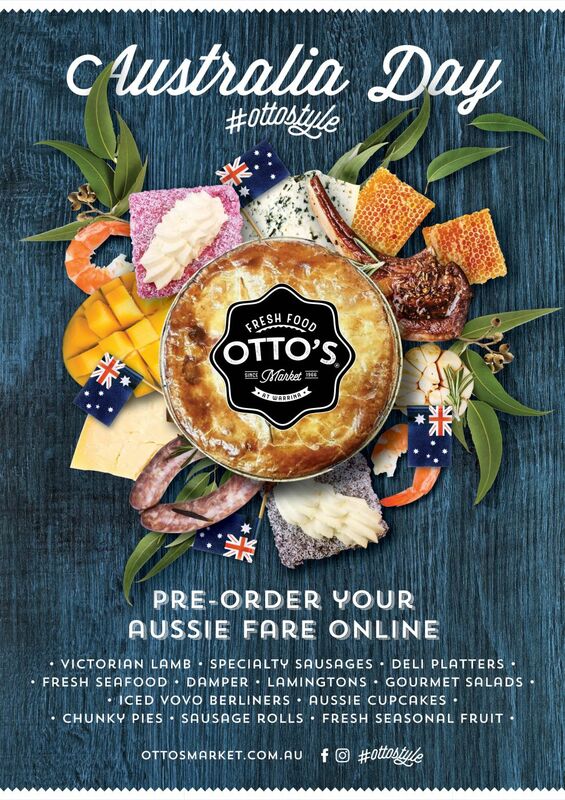 From bush tucker to the great Aussie lamb, food from downunder can be a combination of strange and wonderful, but if there is anything we know full well here at Otto’s, is that it’s always delicious! But rather than just a plain old snag off the barbie this long weekend, we have taken things up a notch and revamped some old classics for you to feast upon on this, the Aussiest of days. And the best part is, we have heaps of pimped out Aussie fare for you to pre-order online, for collection any time over the Australia Day weekend. With just 24 hours notice, you will be celebrating the day with delicious treats, all lovingly crafted by the teams at Otto’s Artisan Bakehaus, Continental Deli, Meat Market and Fish Market. 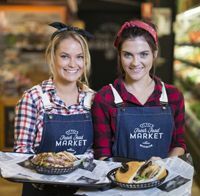 From pies and sausage rolls to specialty doughnuts, cakes and lamingtons, to deli platters that will knock your double pluggas off, fresh seafood and limited edition flavoured sausages and of course, the great Australian lamb, we have got it all. All available for pre-order and handcrafted by our team. So regardless of weather you are having some well deserved family time, or getting sloshed in the inflatable pool in your mate’s backyard, our pro tip is to make sure you’re hungry and take the time to indulge in all the fare that makes ‘Straya what it is!